Despite tau proteins having essential roles in neurodegeneration and amyloid-mediated neurotoxicity, Alzheimer's disease (AD) therapeutic development has largely focused on amyloid-beta. Recent investigations, in humans and rodent Alzheimer's Disease models, suggest specific tau species might be major pathological contributors to AD progression and, as such, an even better target than amyloid-beta for effective AD therapies. Monomeric tau proteins are abundant in neurons, where they play important roles in stabilizing microtubules. Similar to amyloid protein, tau proteins can multimerize to form higher order tau variants, including oligomeric species and the neurofibrillary tangles (NFTs) seen in AD brains. Like amyloid beta plaques, aggregates of tau within NFTs have been implicated in pathological events contributing to AD-associated neuronal loss. Despite their hallmark association with AD, recent investigations have cast some doubt on NFTs as a major toxic protein species contributing to AD progression. Indeed, some investigators argue that tangle formation is compensatory, leading to the sequestration of other, more toxic, tau species into relatively inert NFTs. Under this hypothesis, tau oligomers, an intermediate between monomeric tau and the aggregated tau in NFTs, are believed to be the toxic contributor to AD. In a 2012 investigation, a team of scientists, lead by Dr. Rakez Kayed of the University of Texas Medical Branch, characterized the role of tau oligomers in the natural history of NFTs. Using a novel tau oligomer-specific antibody, they found that tau oligomers in human AD brain samples were 4-fold higher than in control samples, linking AD in human subjects to oligomeric tau accumulation. Within the same year, Dr. Kayed and colleagues published evidence for pathologic roles of tau oligomers in AD. Using their oligomer-specific antibody, the team of scientists isolated tau oligomers from AD brains, and then introduced the oligomers into the brains of wild-type C57BL/6 mice. Remarkably, the patient-derived oligomers were able to interact with mouse endogenous tau to propagate abnormal tau conformations and disrupt memory and synaptic activity in the mice. Based on these and other findings, Dr. Kayed's team hypothesized that AD immunotherapy targeting oligomeric tau species might prove superior to NFT-targeted therapies. Indeed, because monomeric tau has a functional role in the central nervous system, specifically targeting tau oligomers might avoid side-effects associated with other, less specific, therapies. In their 2014 report, Dr. Kayed's team described the development of a tau oligomer-specific monoclonal antibody (TOMA) and its effects in tau P301L mice harboring a transgene that expresses a mutant variant of the human tau protein. These mice develop cognitive impairment and NFTs as early as 4.5 months of age, and display neuronal loss and gliosis by about 10 months of age. When 8-month-old P301L mice received a single intracerebroventricular TOMA injection, tau oligomers were almost completely eliminated from the brains of the mice, while monomeric tau remained unchanged. Furthermore, the single injection was sufficient to completely rescue diminished performance by P301L mice in the rotarod performance test. These data provided strong supporting rationale for targeting oligomeric tau as an AD therapy. Blood brain barrier (BBB) dysfunction has been observed in AD patients and reproduced in the transgenic APPSWE/tg2576 (APPSWE) AD model. Permeability of the BBB to antibodies has been exploited in pre-clinical and clinical AD studies, and BBB permeability in tau P301L mice, like in APPSWE mice, would provide a useful tool for tau immunotherapy development. Despite no previous record of BBB dysfunction in their Tau AD model, Dr. Kayed's team investigated the ability of a labeled form of TOMA to cross the BBB in the P301L mice. Following tail-vein injection of the labeled version of TOMA, whole animal and brain section imaging was performed. The labeled TOMA localized to the brains of P301L mice, providing the first evidence linking tau oligomers to BBB dysfunction, independent of amyloid-beta, and revealing novel utility of the P301L model for immunotherapy investigations. The APPSWE model is one of the most historically used AD mouse models, but it is not thought of as a model displaying tau pathology. This model expresses a transgene encoding amyloid precursor protein with a Swedish mutation associated with AD onset. APPSWE mice develop AD-like phenotypes over a predictable time-frame, including amyloid plaque deposition and memory deficits, but do not develop tau tangles. Despite the absence of NFTs in the APPSWE model, Dr. Kayed's team hypothesized that mouse tau oligomers might still accumulate, contributing to the disease phenotypes in APPSWE mice. Indeed, in their 2015 study, Dr. Kayed's team reported finding age-related accumulation of tau oligomers in the brains of APPSWE mice. 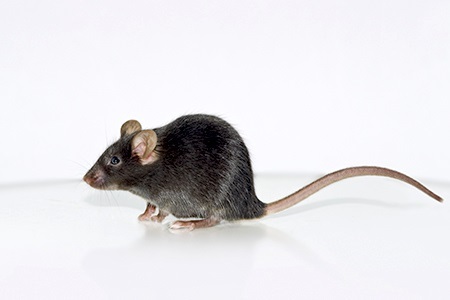 When the scientist treated 14-month old APPSWE mice with TOMA injections, the accumulation of tau oligomers was reversed and the mice displayed significantly improved performance in novel object recognition and fear conditioning tasks. These observations implicate tau oligomers in the progression AD-related phenotypes within a model thought to not display tau-related pathology.